How do we see Jesus? More specifically, how do we see Jesus when things feel like they’re falling apart? Do we see Him as He desires for us to see Him, or do we create distortions of who He is in light of what we’re going through? We learned about the lampstands last week, that they represent seven churches that Jesus had specific messages for. We learned this week that the description of the robe identifies it as a priestly garment. We’ll talk more about that in just a moment. I want to first address the “eyes like blazing fire”. John emphasized to us that the passage doesn’t say that Jesus had fire in his eyes, just that they were like blazing fire. His eyes were like whirling, flickering, dancing flames that held the apostle John’s gaze. Just as flames are mesmerizing and captivating, these eyes that John had seen many times before held his attention in a whole new way. To mesmerize means “to hold the attention of someone to the exclusion of all else or so as to transfix them”. To captivate is “to seize, capture, influence & dominate by some special charm, art or trait and with an irresistable appeal”. This passage is talking about us, the family of believers. We are called “priests” in this verse. And when I did a little word study, I found the word translated “priest” in both the Hebrews and 1 Peter passages are linked to the same root word. As Jesus is a priest that understands and sympathizes with our weaknesses and offers mercy, grace and help in our times of need, we are also called priests and we get to offer those same things to the world around us and to one another. John spoke about the kind of help Jesus offers us through His Holy Spirit. It is not stepping aside and asking Him to simply fix what’s wrong. It is a partnership, working together to take hold of the problem and move it out of the way. Jesus cares about proximity, intimacy. He doesn’t need our help-He could fix all of our problems without us. But He, our High Priest, invites us to partner with Him so that we-the priesthood of believers-can learn from Him and carry Him to others. Jesus has always been about “withness” and He still is. He didn’t need the twelve disciples in order to carry out His ministry and perform His miracles. He brought them close to Himself to love them, to teach them, to impart Himself to them. 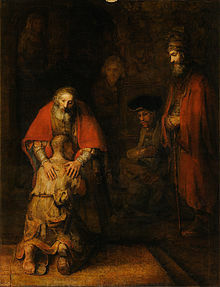 So that when the time came for Him to go the Father, He could leave knowing that He could be seen, felt, touched in those He left behind-a priesthood that would carry out the work He started. Jesus isn’t a High Priest who intercedes from a distance. He doesn’t sit on the outside and judge us when our lives come apart. He doesn’t tell us what we should do to find our own way out. He always, always, always comes down into our mess and works with us until we can get out together. Just as He came down from Heaven to be born as a baby in a dirty manger, He comes to each of us when things are falling apart, when we find ourselves in a mess we can’t see through, a pit we can’t climb out of-and he offers His help. He sets the example of what kind of a priesthood we are to be. Will we follow His lead and get into the mess with those around us, those who need help? Will we let the mesmerizing, captivating, irresistable gaze of Jesus pour through our own eyes as we interact with the world He’s called us to love the way He loves us? What we see in Jesus is reflected in us–how do you see Him? Stay with me here for a moment. The church is the bride of Christ. So if “help” in this context means “withness”, do we see ourselves in partnership with Jesus? Think about what it implies that the apostle John saw Jesus, with eyes like blazing fire, among the seven golden lampstands—the seven churches. The groom was in the midst of the bride. Intimate partnership. Sometimes I get a visual that’s a little hard to put into words, but I’m going to try. Jesus, with His eyes like blazing fire—the dancing, mesmerizing, captivating, drawing us in kind of eyes, is among-he is with-the seven golden lampstands. What I saw in my mind was the reflection of Jesus in the gold of the lampstands, and the reflection of the lampstands in Jesus’ eyes. There is a lot of light happening in this scene, and a lot of reflection. I was reminded that in John 8:12 Jesus says “I am the light of the world.” And in Matthew 5:14 He tell us that we are the light of the world. He tells us that if we walk with Him, we won’t walk in darkness. 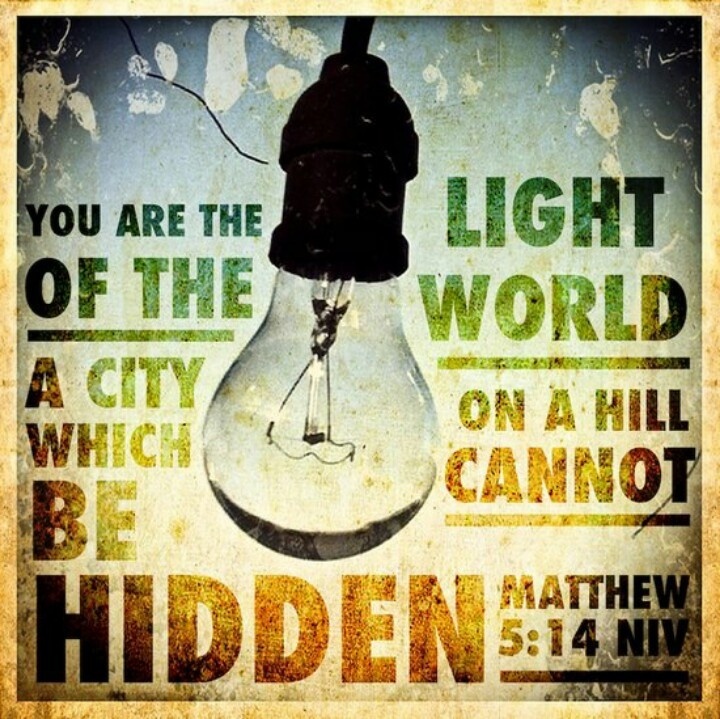 (Jn 8:12) And our light? It’s Him. It comes through intimacy with Him, proximity to Him, and His light reflects off of us to the world. Laura pointed out that Jesus is our High Priest, and we, too, are priests in His kingdom, so that we can show others the goodness of God, for he called us out of the darkness into his wonderful light….so that we can let our light shine before others, that they may see our good deeds and glorify our Father in heaven. (1 Pt 2:9, Jn 5:16). No matter what season of life we are in, He is with us, he has called us out of darkness so that we can bring glory to the Father. 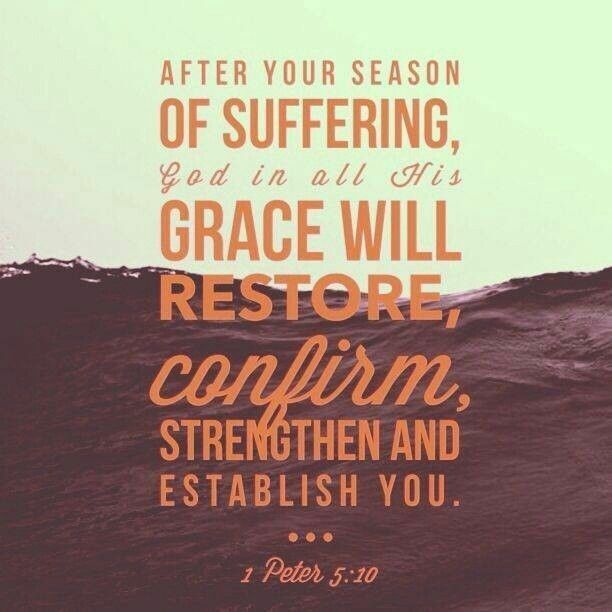 He can use our coming apart seasons to give others hope and bring glory to God. The question is, will we choose proximity and intimacy with Jesus when things are coming apart? It truly does come down to how we see Him. So how do we see Him? Is he hard to see? Do we see Him like one who wants to come alongside us, or do we see Him as distant? Do we filter Him through what we’re going through, or do we filter what we’re going through, through Him? Look at Him. Can you see your reflection in His eyes? Do you see Him clearly? He is with you. Walk with Him and you will not walk in darkness. Yoke yourself to Him and your burden will be light. He is with you, He is holding all things together. (Cl 1:17) He is Emmanuel—the with us God, and He has got you, no matter what you’re going through. A number of years ago, my family and I were on a road trip which took us across the state of Kansas. I was driving, everyone else was sleeping, and I was trying to find something to listen to on the radio. As I was scanning through the stations, I caught part of a sermon in which the pastor made the statement: “Jesus is not only Lord and Savior, He is also Treasure.” I was intrigued and interested, and lost the station. Thirty minutes or so later, I was still scanning through stations and came upon the same message at the same point: “Jesus is not only Lord and Savior, He is also Treasure.” Then I lost that station, but the Lord had my attention. I began to ponder what it meant to have Jesus as my treasure. In Revelation chapter 1, the apostle John heard a voice, and when he turned he saw seven golden lampstands, and among the lampstands was someone like a son of man… Upon reading the passage, we learn that the seven lampstands represent seven churches, and the son of man is Jesus who has positioned himself among, in the midst of, the churches. Jesus has a message of encouragement for each church, and also a challenge for each one to overcome. These churches are known for their love, their perseverance in the midst of persecution, their faithful deeds, their faithfulness in the midst of hardship, their faithfulness in the midst of poverty, their refusal to deny his name, yet each church also has areas of weakness. Ephesus has forsaken Jesus as their first love—their treasure. Smyrna is encouraged to remain faithful even though it’s going to get harder and the persecution is going to increase. Pergamum has allowed some false teaching to infiltrate their church, as has Thyatira. Sardis is asleep, they have let their guard down and stopped doing what they used to. Philadelphia has little strength, and Laodicea is lukewarm, apathetic. John reminded us in his sermon that this message of the churches can be taken very personally. Each of us who call Jesus our Lord have a lamp to keep lit. Then together, with other lamps we make up our local churches and the capital “C” church that brings light to the darkness all over the world. Jesus isn’t mad at us, and doesn’t point out these challenges in order to make us feel bad about ourselves. He is encouraging us to hold fast to Him, to love Him first, to let Him be the primary influence in our lives, to get our hearts and our thoughts in line with his heart and his thoughts, to remove influences, even pastoral influences that lead us astray, to test every teaching with His word, to renew our passion, to let go of apathy and live with purpose. And when we do this, the things that He promises to overcomers are beautiful. John told us that the word “overcome” in this context is an ongoing action and has both athletic and military significance. In the athletic significance, it means to prepare yourself for the bigger challenge—train, and train, and train—engage in such a way as to get stronger. I think we all recoginize that in the world of athletics, doing nothing makes us weaker and ill-prepared. So taking the personal responsibility as one person to be in the best shape we can be in through daily preparation and training is part of what “overcome” means. In the military context it means rising up as a group and going after the common enemy. We work together as a team. We don’t face the enemy alone—we are after the enemy together—all of us together after the same enemy. So as we each prepare ourselves individually to be in the best spiritual shape we can be in, we will collectively be prepared as the body of Christ to be the church that the gates of hell will not prevail against. I think if we stop and ponder Jesus’ message to the churches, we’ll see things there for us to address, to recognize, to repent of. Have we as individuals and as a body forsaken Jesus as our first love? In this world of incredible uncertainty, are we choosing to be faithful to Him, place our hope in Him, even though the days ahead may be even more challenging than they are now? Do we live in media driven fear, or Jesus based hope? Have we allowed false teaching to infiltrate our churches? I think this is a big one for us to wrestle with and ask the Holy Spirit to help us see. One easy way to recognize false teaching is figuring out if the message we are hearing would be true in every country in the world. If it elevates any one country, one political party, one race, one ideology, get out your Bible and test to see if it’s true. The message of Jesus transcends country and culture, and it does not pit groups of people against one another. The message of Jesus values all people. Watchman Nee, a Chinese pastor was asked during the Chinese/Japanese war how he should pray. He responded by saying that he would pray in a way that if he were praying with a Japanese believer, they could both say “amen” at the end of the prayer. I am afraid that there is a lot of false teaching that we tolerate in our churches. Jesus is asking us to recognize it, remove it from our midst, and repent. Are we asleep? Do we just go through the motions, attend church rather than being the church? Are we weak because we choose not to spend time with the Lord? Are we weak because we choose not to allow Him to use our gifts, to stretch us? Are we satisfied with second hand faith that is regurgitated through someone else’s walk with Christ? Are we apathetic? Not hot, not cold…just nominal—not engaged in community, no passion for the Lord, no passion for His call, no desire to live out our purpose because it might interfere with our personal plans and goals? It doesn’t have to be that way. Jesus walks among us, among our churches. He is encouraging us as individuals and as church bodies to remove anything that doesn’t belong in our midst—to rid ourselves of influences that pull us away from Him. He gives us opportunity to repent, and promises us incredible things if we choose to do this His way. Jesus and his unadulterated message of love and salvation, his transformational power, and his mission to bring others into the Kingdom is what church is about. I am the church, you are the church. My light joins with your light and together we push back the darkness. We live to please Him and Him alone. We adopt his heart for the world. We recognize the false teaching of our day by testing it against scripture, we choose to be more influenced by Jesus than by our news sources, our political affiliation, our social media accounts. And how can we do this authentically in a way that is not mere behavior modification (which won’t be lasting)? We ask the Holy Spirit to help us return to our first love, Jesus our savior, Jesus our Lord, Jesus our treasure. Then we discover that He truly is worth giving everything else up for. It’s an “all hands on deck” kind of life. Are you in? One lamp will scatter the darkness. Darkness has to scatter in the presence of light. But it will only scatter the darkness that’s near it. When we put our lamps together with millions of other lamps around the world, though… we might just find that darkness would cease to exist altogether. I wholeheartedly believe that this has always been Jesus’ desire for His Church. The challenge is: Will we put our lamps together and advance our collective light against the very present darkness of our enemy? Luanne wrote, “The message of Jesus transcends country and culture, and it does not pit groups of people against one another”. So why do we see, time and time again, people using the “message of Jesus” to do just that, pit us against one another? Our battles have never been against flesh and blood. But we have taken up weapons against one another instead of facing the real enemy together. What if we understood that the only way to truly overcome, to advance against our common enemy-our only real enemy-is to rise up together? What if we understood that victory never happens in isolation? What if our words didn’t identify us with a particular denomination, but rather with all of our brothers and sisters, all of us members of the big “C” church? That’s the kind of unity Jesus asked for in John 17:21: ”I pray that they will all be one, just as you and I are one—as you are in me, Father, and I am in you. And may they be in us so that the world will believe you sent me”. This would be a game-changer, friends. If we understood how to overcome as individuals by getting rid of the pollutants from within ourselves and from the outside so that Jesus is what fills us and pours out of us, and then came together as one army-prepared yet always in process-battling the same enemy, we would see the world change. I am certain of it. We have to stop seeing people as the enemy. So that we can take on the real enemy together. And in the process, I bet we would find that all of our different churches have more in common with one another than we think we do. And we would find that with Jesus in our midst, we can overcome our fears of the other, our preferences, our pride, our critical spirits—and actually come to love one another. Once again, we are faced with a choice. Are we happy living apathetic, lukewarm, burnt out lives that are being influenced by false teaching? Or will we throw off all that hinders and the sin that so easily entangles and run with perseverance the race marked out for us? Will we make a stand and set our course to follow Jesus wherever He leads, understanding that continually overcoming is part of the process that creates His likeness in us? And will we have the courage to do it together? To use the light of Him who connects us all to advance against our real enemy and bring the Kingdom of Heaven to our waiting world? I’m in. Are you?